Dr. Ambedkar College of Arts and Commerce was established from this academic session, 1964-65 under the auspices of Param Poojya Dr. Babasaheb Ambedkar Smarak Samiti, Nagpur.At this stage it had two faculties, Arts and Commerce, with two classes each the Pre- University class and Part-I class of the three year Degree Course of Nagpur University.Formal inauguration of the college by Shri V.P.Naik, Chief Minister of Maharashtra Government. The C.M. agreed to donate Rs.15,000/- to the college from the C.M. "s fund.Three years earlier Shri Y.B. Chavan, the then C.M. of Maharashtra State had laid the foundation stone of the college. •Students" Representative Council • Association for Literature Social Sciences Association • Games and Sports Association Commerce Association • The Better English Association • N.C.C. • N.C.C. Air Wing. Dr.Ambedkar Smarak Samiti, under the guidance of Bhadant Anand Kausalyayan began courses and exams on Pali Language and Literature Diploma and Degree levels, 1st year and 2nd year. The Pali Bhasha Prachar Samiti opened up courses at three branches in Dr. Ambedkar College, Deekshabhoomi. Freeship declared to girl students whose family income is below Rs.1200/-. Dr.Ambedkar College offers Certificate Course in Social Work. This training in Social Work consists of Theory and Practical subjects. 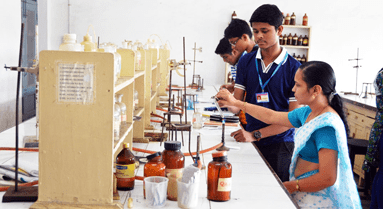 College begins Science stream. Dr.B.M.Baraskar, State Minister for Social Welfare unveiled photo of Padmashree Karmaveer Shri Dadasaheb Gaikwad, M.P., President of the College"s Governing body, at College Library, Deekshabhoomi. Shri Bhaurao Gaikwad felicitated by the President of India. Republican Leader Shri R.S.Gavai felicitated at Dr.Ambedkar College on being selected as Vice-Chairperson of Vidhan Parishad. College renamed as per resolution passed by Dr.Babasaheb Ambedkar College of Arts, Commerce and Science, Nagpur is renamed as Dr. Ambedkar College, Deekshabhoomi, Nagpur. Prof. T. K. Damodharam was appointed as Principal. Permission granted to the College to start M.Com. I (Marathi Medium) classes. B.Sc. I Statistics commenced.The Government of Maharashtra granted permission to the College to start Law Faculty 1984-85 onwards. The Government of Maharashtra granted permission to Dr. Ambedkar College to start LL.B. (5 year course) from the academic session 1996-97. M.A. Marathi Course commenced from the 1997-98 onwards. Dr. R.Krishnakumar, Vice-Principal of DACN of Arts, Science, Commerce & Law and P.G. Deptt.s of Arts, Commerce, Deekshabhoomi, took over as Principal. A day long Seminar was held jointly by DACN and UGC, Pune on “Contribution of Dr.Ambedkar towards the Indian Constitution”. The UGC Pune alongwith the Deptt. Of Statistics and Deptt. Of Mathematics jointly organized a State Level Seminar on “Project Management by PERT, CPM”. The Seminar was inaugurated by the Deputy G.M. of State Bank of India Shri Ajay Swaroop. “Chemo-Vision”, a State Level Conference on Application of Chemistry for the Advancement of Life Sciences was organized by the Deptt. Of Chemistry. The conference was inaugurated by the Director of NEERI, Dr.R.N.Singh. The Deptt. Of Botany of DACN organized a day long State Level Seminar, sponsored by UGC, Pune on “Applications of Genetic Engineering”. It was inaugurated by Dr.S.N.Patil, VC of Amravati University. A Workshop on “Application of Gel electrophoresis” was organized by Deptt. Of Biochemistry. Dr.H.D.Daginwala, Retd. Head of the Deptt. Of Bio-Chemistry, Nagpur University was the Chief Guest. The Haematology Centre of DACN was inaugurated by Shri S.J. Fulzele, Secretary of the Smarak Samiti. The Deptt. of Zoology organized a UGC sponsored State Level Seminar on “Latest Trends in Life Sciences”. 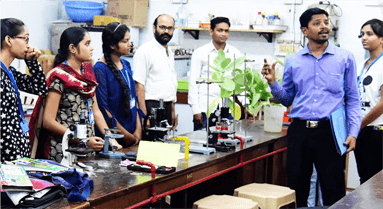 Dr. Gopalkrishnan, former Director, Institute of Science, Dr. D. B. Tembhare, Prof. & Head, PGTD of Zoology, Nagpur University and Dr.Ashini Chakravarty, Prof., Immunology and Cell Biology, North Bengal University, were the Chief Guests. UNNATI, a personal growth and skill development program for UG students of DACN, in collaboration with the Vidarbha Industries Association was launched. Rajya Sabha MP and Chairman of Smarak Samiti, Shri R.S.Gavai presided over the function. Dr. Madhukar Rode, Prof. VC of Nagpur University was the Guest of Honour. First Invitational Inter-collegiate Chess Championship organized at DACN was inaugurated by Shri Baldeo Khanna, Director of Physical Education, Nagpur University. A One-day Workshop on Bonsaii Culture was organized by Prof. A.V.Ganvir of the Deptt. Of Botany. 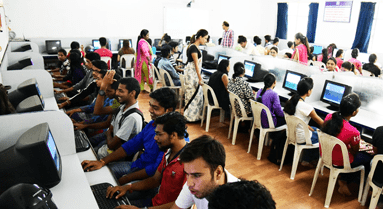 The Entrepreneur Development Cell in collaboration with Maharashtra Centre for Entrepreneurship Development Nagpur organized a 12-day Development Programme on Self- Employment for students of DACN. The Deptt. Of Biochemistry organized a UGC sponsored state level seminar titled “Current Trends in Biochemistry” which was inaugurated at the hands of Dr. C. D. Mayee, Director CICR, while Dr. Tapan Chakraborty, Dy. Director NEERI was the Guest of Honour. The Deptt. Of English organized a state-level Seminar sponsored by UGC titled “Evalution Techniques and Studies in Literature”. Eminent Writer and Columnist Shobha De inaugurated the Seminar. The guest of honour was noted playwright and Sahitya Akademi award winner Prof. Mahesh Elkunchwar. The Deptt. Of Marathi organized a State Level Seminar on “Dalit Sahitya aani Marathi Gramin Sahitya”, sponsored by UGC. It was inaugurated by the Vidarbha Sahitya Sangh President Mr. Suresh Dwadashiwar. The Republic Day Celebrations were conducted with a unique programme - a day - long event comprising sporting, educational and cultural activities providing an opportunity for over 200 blind, orphaned deaf dumb, physically and mentally challenged students from various institutions in and around Nagpur. The Deptt. of Physics & Electronics and Nagpur Chapter of Institution of Electronics and Telecom Engineers organized a state level Seminar on “Recent Trends in Telecommunications”, sponsored by the UGC. The Deptt. Of Commerce organized a State Level Seminar on “The Challenges of Predicting Economic Crises” sponsored by the UGC. The Deptt. 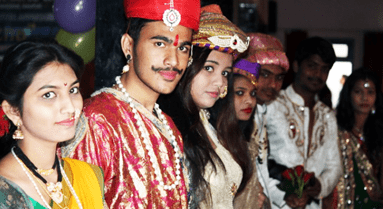 Of Law, DACN, organized a Law Festival “Vidhi-Pravaah-2003” in the college premises. It was inaugurated by Justice M.N.Rao, Former Chief Justice of Himachal Pradesh. The Annual Exhibition was organized in which all the Departments put up charts, models and live displays depicting various themes. A Diagnostic and Check-up camp was organized jointly by All India Medical Laboratory Technologists Association, Lodge Gondwana and DACN at Surgaon village. A One Day Seminar on “Need and Scope of Physical Education Curriculum in academic colleges” was organized by the Deptt. Of Physical Education and Sports. The Deptt. Of Physical Education and Sports organized a One-Day State Level Workshop on Teaching Skills for Physical Education Teachers in Association with Academic Staff College of Nagpur University. The Law Deptt. of DACN organized a two day workshop on “Good Lawyering”. It was inaugurated at the hands of eminient lawyer, Adv. Subodh Dharmadhikari. The Executive Committee of the National Assessment and Accreditation Council on the recommendation of the duly appointed Peer Team declared the Dr. Ambedkar College, Deekshabhoomi as Accredited with “A+” grade. Principal, Dr. R. Krishnakumar was elected as the Secretary of “Principals" Forum” in the Annual General Body Meeting. Dr. Saibal Biswas, Head of Deptt. Of Biochemistry, achieved the rare distinction of being selected Overseas Fellow of the Internationally reputed Royal Society of Medicine, U.K.
4 students of DACN figured among the first 10 in the merit list of LLB (3yr.) examination conducted by RTM Nagpur University. A One-Day Seminar was jointly organized by Nagpur University Librarians" Association and DACN on “Role of Library Staff in Development of College Libraries.” The Seminar was inaugurated by Dr.G.D.Rathod, Jt. Director of Higher Education Dr. P. S. G. Kumar, former Librarian, RTMNU and Dr. R. Krishnakumar, Principal, were the Guests of Honour. Student-Teacher Exchange Programme : Ten students from St. Francis College for Women, Hyderabad along with two teachers were invited by Dr.Ambedkar College for a stay of 6 days. The Exchange Programme included interaction with students and teachers, visits to important places around Nagpur as well as cultural exposure. Dr. R.Krishnakumar, Principal of DACN was selected as the new Director of Board of College and University Development (BCUD) of RTM Nagpur University. A two Day National Conference on “Recent Advances in Material Science was organized by the Deptt. Of Physics, DACN, Deekshabhoomi at the College Auditorium. This conference was organized in collaboration with Central India Research Institute and sponsored by the UGC Dr.S.S.Gokhale, Director VNIT was the Chief Guest while Prof.R.P.Tandon, University of Delhi, was the Guest of Honour. The Organizing Secretary of this conference was Dr.K.G.Rewatkar. “Mission Mrityunjay” program was jointly organized by DACN and Nagpur City Police at College Premises. Mr. Madhav Karve, Addl. Commissioner of Police (Administration) and Ms. Sharda Nikam, Asstt. Commissioner of Police (Ajni Division) were prominently present. The UGC sponsored Add-on Certificate and Diploma Courses in Molecular Plant Biochemistry for the year 2007-08 was inaugurated by Prof. H.F.Daginwala, ex-Chitnavis Professor of Biochemistry RTMNU and Senior Research Consultant CIIMS. A two day UGC sponsored National Conference on “Text and Performance in Theatre” was hosted by the Deptt. Of English, DACN, Playwright and Film Maker, Mr.Mahesh Dattani was the Chief Guest at the Inaugural. Besides six eminent speakers from all over the country, “Mahadevbhai” a play, was staged at Scientific Society Hall by Jaimini Pathak, Director, Actor, Producer and Journalist from Mumbai. The Deptt. of Physics in collaboration with Priyadarshini College of Engineering, Nagpur held a two day UGC sponsored National Seminar on “Advanced Technologies in Materials and Crystals”. Dr. Kamal Singh, VC, Sant Gadgebaba Amravati University was the Chief Guest. The Psychology and Sociology Deptt. of DACN jointly organized a 2-day UGC sponsored National Conference on “Counselling : A Social Need of the 21st Century” on 9th and 10th Jan.. The adoption of village Sukhli on 6th Nov. Tehsil Hingna, was yet another landmark initiative taken towards rendering social service for the upliftment of the masses. AFAIR 2010 : An International Conference on “Advances in Free Radical and Inflammation Research” was organized by the Deptt. Of Biochemistry on 15th and 16th January 2010 in collaboration with the Society For Free Radical Research (India Chapter) and NEERI, Nagpur Dr. Irfan Rahman, Asso. Prof., Rochester University, USA inaugurated the conference. Dr. R. Krishnakumar former principal, was appointed as Vice-Chancellor of Yeshwantrao Chavhan Maharashtra Open University (YCMOU) Nasik. He was felicitated at a special function organized in the college. The Executive Committee of the National Assessment and Accreditation Council on the recommendation of the duly appointed Peer Team declared the Dr. Ambedkar College, Deekshabhoomi as Accredited with CGPA of 3.17 on 4 point scale at “A” grade. The Women"s Development Cell organized a UGC sponsored National Conference on "Career Prospects for Women Empowerment" on 16th and 17th September 2011. It was inaugurated at at the hands of Dr. Kamal Singh, Former V. C. Sant Gadgebaba Amravati University. Shri. Atal Bahadur Singh and Smt. Kundatai Vijaykumar were the Guests of Honour. Rotary Club of Nagpur Orange City, Nagpur installed “Rotaract Club” at DACN. The installation ceremony was held on 1st Oct. in the College Auditorium. • State Level Seminar on ‘Relevance of Welfare State in Modern India’ was organized by Department of Economics, History and Political Science. • Dr. Munagekar, Rajya Sabha MP and former Member Planning Commission, Government of India, delivered special lecture. • International Seminar on ‘Deekshabhoomi: A Social, Literary, Cultural, Religious, Economic, Political and Educational Revolution’ was conducted in association with Dr. Ambedkar International Mission, USA. • Ms. Gayatri Tekade was awarded with 6 medals by RTMNU for her academic achievements in University’s 100th Convocation. Ms. Gayatri Tekade, stood 1st in order of Merit in RTMNU in all the subjects taken by her during B.Sc. viz. Biochemistry, Biotechnology and Chemistry. • One year PG Diploma in Nanoscience and Nanotechnology introduced. • Mr. S.R. Somkuwar awarded S. R. Yadav Best Poster Presentation Award at 23rd Conference of IAAT-2013. • The College Magazine ‘DEEP’ bagged Best (I) Magazine Award. • Dr. Desarada, Former Member, Planning Commission, Government of Maharashtra delivered a lecture on Dr. Ambedkar and Rural Development. • International conference on “Applications of Advanced Material for Sustainable Development-ICAAMSD”. • Dr. Rahul Kamble Added one fungal species to host novel from India; Cercospora apii on Spigelia anthelmia published in Journal of Mycology and Plant Pathology. • UGC sponsored one day National Conference on “Social Commerce-emerging trends and issues”. • The College Magazine ‘DEEP’ bagged Best (II) Magazine Award. • The College Magazine ‘DEEP’ bagged Best (III) Magazine Award. • Dr. Rangarao Bhongade, Professor, University of Mumbai delivered Guest Lecture on ‘Modernism and Post-Modernism’ (English). • Dr. D. N. Begde from the Department of Biochemistry and Biotechnology became the only Indian to receive the prestigious Young Investigator Travel Award, of Protein Society, USA to participate in “29thAnnual Symposium of Protein Society”, Barcelona, Spain, held on 22-25th July 2015 and to deliver a talk on “Exploring Anti- amyloidogenic Attributes of Lantibiotic Nisin”. • College recognize has Centre for Higher Learning in Physics granted. • Applied for 9 Research Projects to UGC. • 9 Patents submitted, out of which 5 are granted. • National Conference on Nanoscience and Nanotechnology-NCNSD organised. • National Level Conference on ‘Buddhist Litterateurs, Thinkers and Its Impact on Social Life’ was held on 06-07 October 2016. Prof. Sanghasen, Former head, Department of Buddist Studies, Delhi University, Delhi; Dr. Mahesh Devkar, head, Department of Pali, Pune University, Pune; Dr. Bhadant Satya Pal, Prof. Mrs. Sushila Mool, Aurangabad University, Aurangabad, Dr. Mrs. Talat parween, Department of Pali, Pune University, Pune graced the occasion. • The Department of Biochemistry and Biotechnology brought in a rare honour to the college for being recognized as the India’s first and the only Campus Chapter of Seeding Labs, Boston, USA. • Organised International Conference at Kualalumpur, Malaysia in collaboration with STAMI and University of Putra Malaysia and University of Peradeniya, Colombo, Srilanka on the topic “Science and Technology for Sustainable Development (ICSTSD-2016)”. • One Patent filed with USA. • One Patent filed with South Korea. • Discovery of new plant species: Murdannia ugemugei by –Dr. R. Kamble, Somkuwar & Nandikar has been discovered as new to Science published in Webbia: Journal of Plant Taxonomy & Geography. Taylor & Francis, UK. • UGC sponsored National Conference on “Innovations in Agri-Biosciences”. • Conducted Mohammed Kaif Cricket Workshop. • Canada cricket team selection trials facilitated. • Vice Principal Dr. A. P. Joshi received Sports Journalist Association Nagpur Best Organiser Award at the hands of former Indian Badminton Player Padmashri Pullela Gopichand. • Dr. Mrs. H.V. Menon had the honour of being the only faculty member from the Vidarbha Region to be designated on the Legal Education Advisors Committee which was constituted by the Government of Maharashtra. • Mr. Sitaram Yechuri, Parliamentarian and Leader (CPI-Marxist) delivered special lecture on ‘Decline of Democracy: Challenges and Solutions’, 18th March 2017. • National Conference on ‘Libraries and Social Responsibilities in the Democratic World: Information Deeksha for All’ was organized by Department of Library-20 January 2017. Dr. Ved Prakash Mishra, Chancellor (Krishna Institute of Medical Sciences, DU, Karad), Prof. B. Ramesh Babu (Former Professor, DLISc, University of Madras, Chennai), Shri Kiran Dhandore (Director of Libraries, Govt. of Maharasthra), Dr. Satish Kumar Hosamani (Director of Public Libraries, Govt. of Karnataka) were the coveted guests and resources. • The college was registered for Institutional Repository- D-SPACE. • Three day interuniversity workshop on “Electroacoustic” organized in collaboration with RTM Nagpur University, Gondwana University and Amravati University. • Mr. S.R. Somkuwar awarded Distinguished Researcher award at ICRTS-2017. • Amorphophallus shyamsalilianum a New Species (Araceae) from Bhandara District, Maharashtra State, India. by Subhash R. Somkuwar (Manuscript under Editorial Review- Phytotaxa: An Int. J. of Botanical Taxonomy). • Uploaded Byttneria aspera and B. herbacea ITS-DNA Sequence in the NCBI Gen Bank, USA (Acc.No. : LC064064-55926595028ed 656550120d3.query1 & Acc.No. : LC093518,Version-LC093518.1-GI:944192759 (http://www.ncbi.nlm.nih.gov/nuccore/ LC064064.1 & http://www.ncbi.nlm.nih.gov/nuccore/LC093518.1). By Mr. S. R. Somkuwar. • National Seminar on “Wetlands for future securities”. • National workshop on “Glossary of Environmental Science in English-Hindi-Marathi”. • Canada team played practice matches for world cup with DACSA TEAM. • Bankers Sports Council Awarded Best organiser award to Dr. A.P. Joshi, Vice Principal. • Dr. A.P. Joshi appointed as Chairman of Board of Physical Education and Sports of RTM Nagpur University and Vice Chancellor. • The only Sports Department in Maharashtra having its Sports, Rehabilitation Centre for sportsmen. • The students of the club won the prize for best participation from Maharashtra State Government of Forest Department for excellent performance during the celebration of Wild Life Week for 3 consecutive years our students and the Co-ordinator were personally felicitated on 6th July by the Hon’ble Forest Minister Shri. Sudhir Mungantiwar. • DR. N.M.KHIRALE, has been honoured with the coveted “BHARAT SHIKSHA RATAN AWARD” by the Global Society for Health and Education, a New Delhi based internationally recognized organization. • The World Constitution and Parliament Association (WCPA) Canada, in its seminar held on 22nd February 2017 at Ottawa, Canada on the subject of Promoting Global Unity has selected the research paper submitted by DR. N.M.KHIRALE, the Head of Department, Dr.Ambedkar College, Deekshabhoomi, Nagpur on the subject “Solidarity through Constitution” as the best paper. • DR. N.M.KHIRALE CONFERRED WITH THE HONORARY DOCTORATE (D.LITT.) BY THE UNIVERSITY OF SOUTH AMERICA. • Science Fair for School students “GENESIS” was organized by Biochemistry and Biotechnology society and Seeding Lab students. • International Collaboration with Department of Chemistry, National Chung Hsing University, Taiwan R.O.C. • SCIENCE EXHIBITION on E-WASTE by Department of BCA. • CERTIFICATE COURSE IN “FORENSIC SCIENCE AND CRIMINAL JUSTICE SYSTEM” conducted by Department of Law.